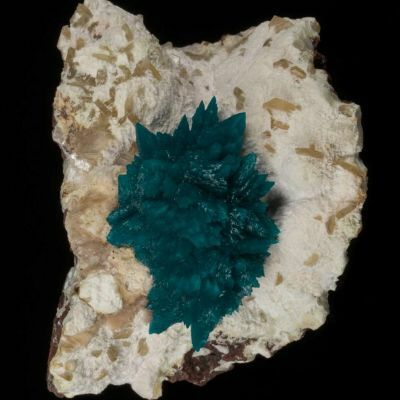 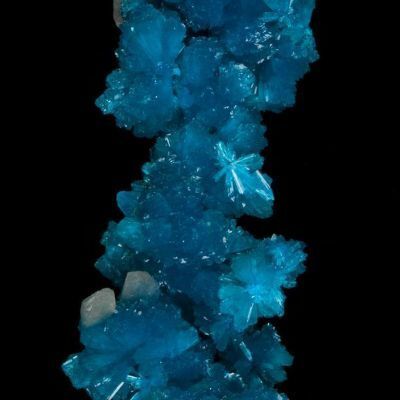 This notable, small cabinet specimen is from the great 1988 rediscovery of Cavansite at the Wagholi Quarries in Pune. 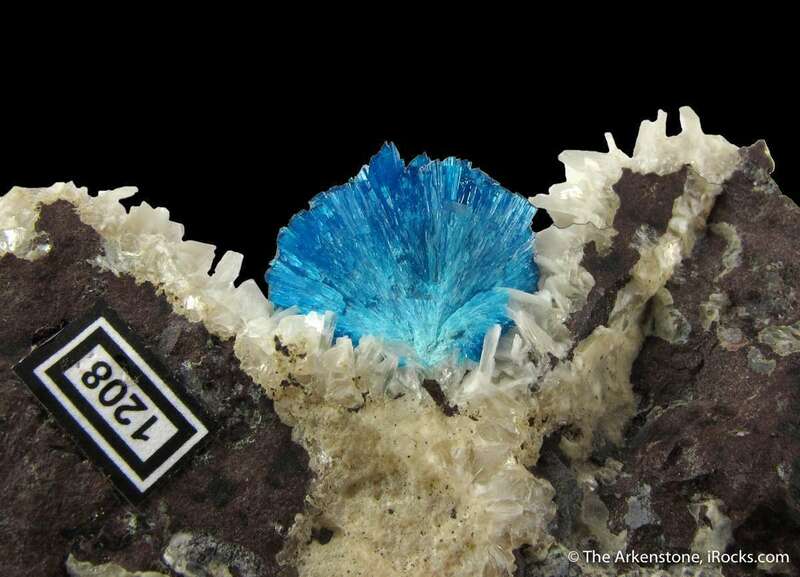 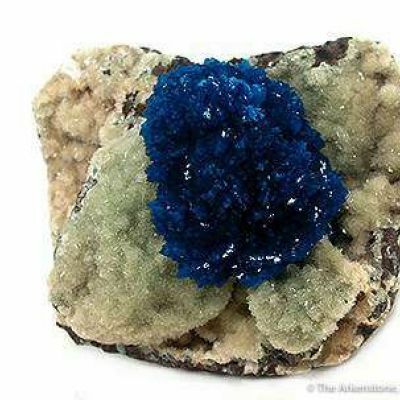 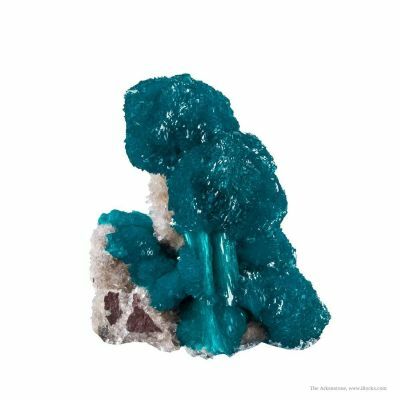 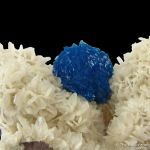 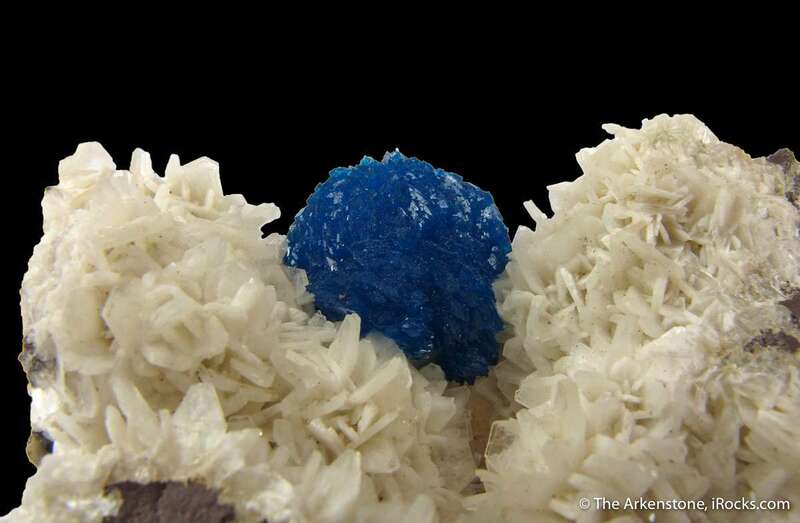 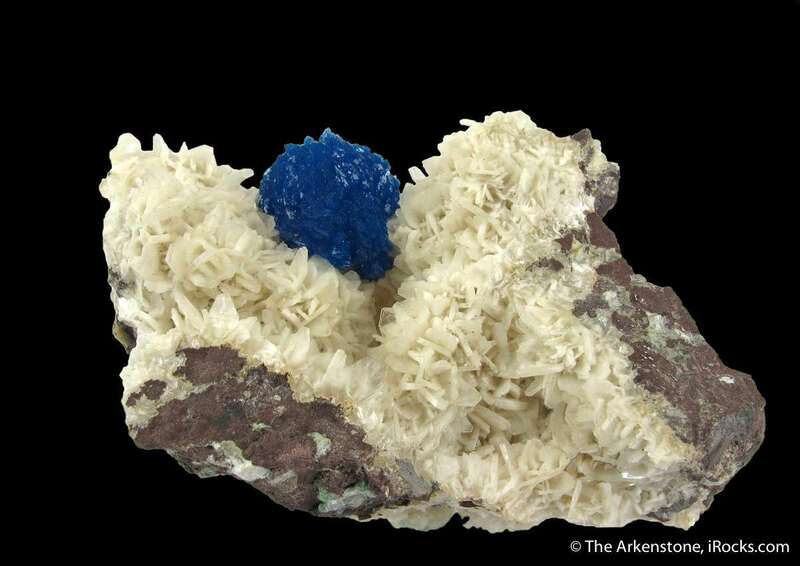 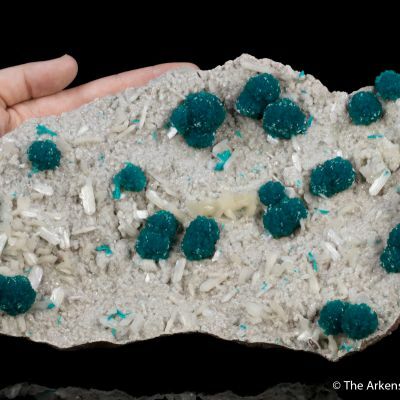 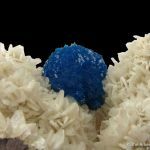 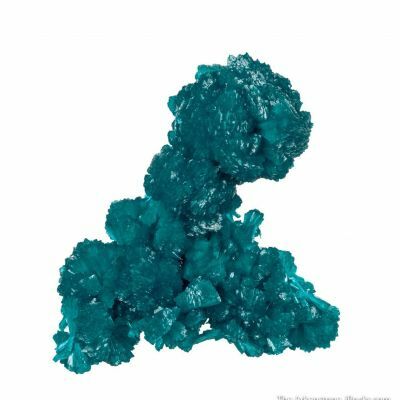 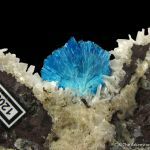 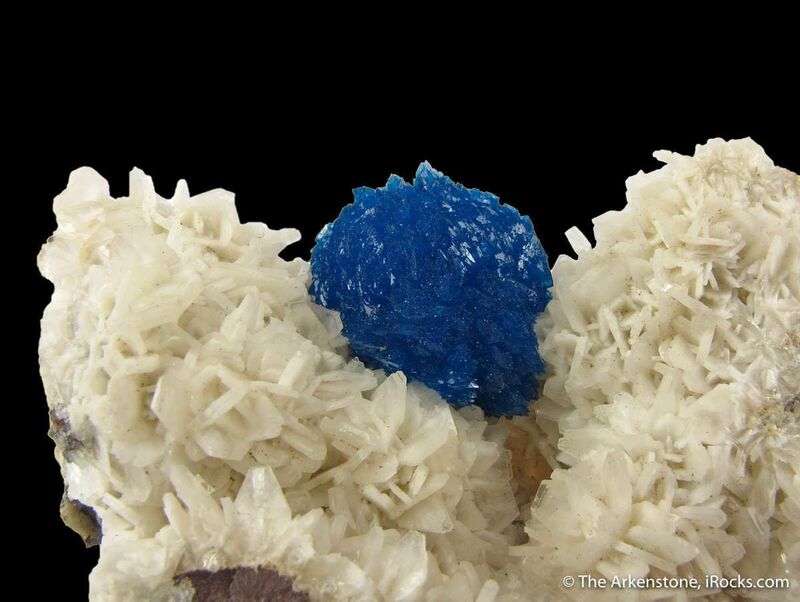 From the collection of Hans-Jurgen Wilke, this 1.6 cm Cavansite (on Stilbite) was featured in the Mineralogical Record's 'What's New in Minerals', V. 20, P. 234. 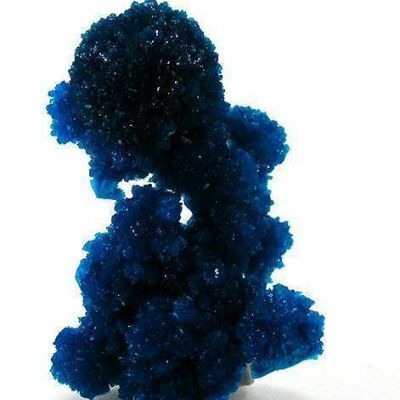 It's a good pic in the MR, and the pics here show just how aesthetic, well-balanced, and dramatic this piece really is. 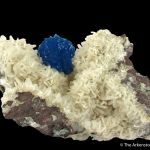 This would be one of the earliest documented specimens when cavansite started coming out of India!